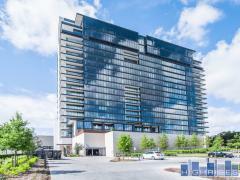 7575 Kirby is nestled in the middle of the Texas Medical Center, within minutes of Rice Village and Downtown Houston. Amenities at 7575 Kirby include a heated pool, hot tub, fitness center, gameroom, media room, covered gated parking and a two-story clubhouse. Have any comments or questions about 7575 Kirby? Ask your question and/or share your thoughts about this Building.